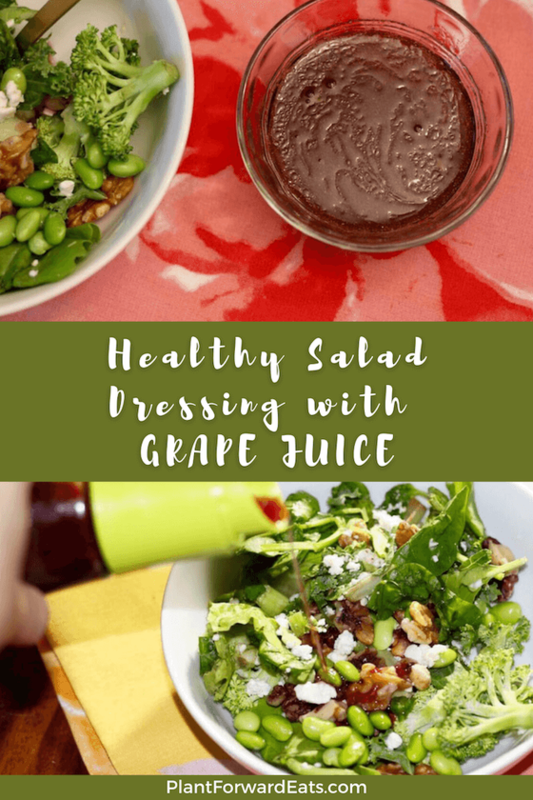 Wondering how to make healthy salad dressing with grape juice? Here you go! This healthy, homemade salad dressing is easy to whip up with ingredients you likely already have on hand. Plus, it'll make your tastebuds pop! 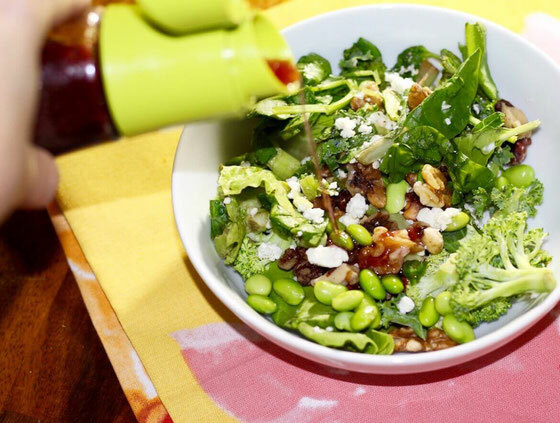 How about a low-calorie salad dressing that's also antioxidant rich? You'll love this one! I don't know about you, but I'm a pretty big fan of salad. It's fun to dress greens up with yummy salad dressings, but I don't love how some are pretty high in calories, fat, sodium, and sugar. So I decided to create this salad dressing that takes just minutes and uses ingredients you probably already have in the house. If you're wondering how to make healthy salad dressing with 100 percent grape juice, I put together this little primer for you. How to make healthy salad dressing? 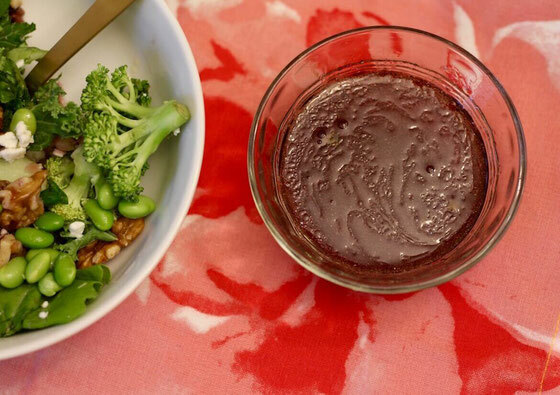 All you need to make this grape vinaigrette salad dressing is grape juice, honey, extra-virgin olive oil, and red wine vinegar. 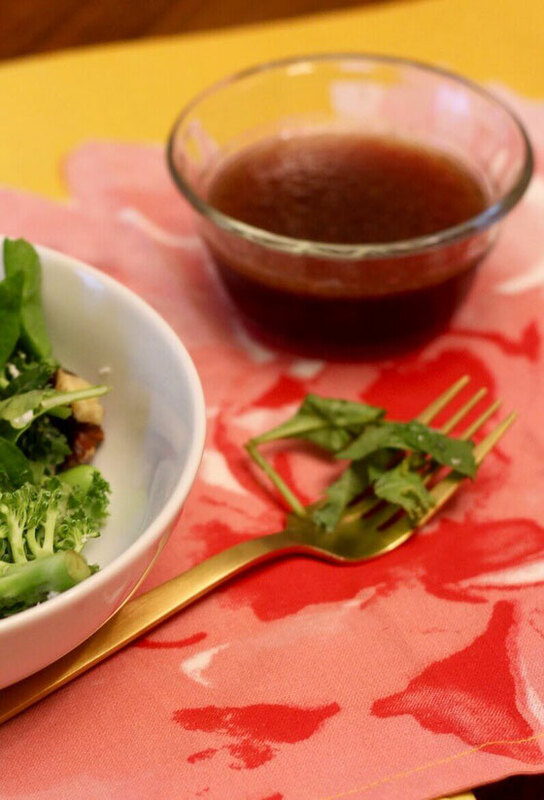 If you like, you can use a salad dressing shaker to make this recipe. I like this salad dressing not only because it's yummy but because it supplies antioxidants called polyphenols from the grape juice, as well as healthy fats from the olive oil. You get sweetness from the honey without too much added sugar, and each two-Tablespoon serving is only 45 calories. It goes great with pretty much any salad combination! So add it to your favorite salad, or you can swap it out with the dressing in my Citrus Quinoa Salad with Prunes or my Sweet Cranberry & Apple Lentils. In a small bowl, whisk together grape juice, vinegar, and honey. Whisking constantly, drizzle oil in a slow, thin stream. Serves 11. What are your thoughts on this topic? What are your favorite salad dressing creations? What are your tips for how to make healthy salad dressing?